Pixar’s Monsters University, is out this weekend, a movie following beloved characters on their misadventures through college life. To help real students navigate the financial pitfalls of college, personal finance site http://www.GoBankingRates.com lists their favorite picks for the best banks for college students. My freshman year was a fun growing experience, but one thing I quickly learned was that I had no idea about financial responsibility. In fact, my brother had to help me open my first checking account. Moviegoers will be able to relive their college years – or get a glimpse of what the future holds – in Pixar’s Monsters University, which hits theaters Friday, June 21. The movie is a prequel to the hit 2001 film Monsters, Inc., and follows main characters Mike Wazowski and Sulley as they head to college. “The monsters are expected to face a lot of the issues typical college students face,” says Stacey Bumpus, expert contributor to GoBankingRates.com. If Mike Wazowski and Sulley are anything like the typical college students, they may be unprepared for the financial responsibilities that come with living on one’s own, finds GoBankingRates.com. Having a credit card for the first time, for example, can lead to overspending or charging, with the median credit card debt of a college freshman reaching $939, according to a study by Sallie Mae. For undergraduates as a whole, that number reaches an even higher amount, $1,645. New college students like Monsters characters Sulley and Mike Wazowski can use the GoBankingRates.com guide to the best banks for college students to get a leg up in figuring out their finances. “The bank I signed up with was great for college students, making the transition to becoming an account holder much easier,” Bumpus says. GoBankingRates.com’ list of the 10 best banks for college students features banks that offer free checking, easy access, low fees, and other benefits that match the financial needs of this demographic. Banking with these financial institutions and others that cater to the needs of college students can help them stay on top of their finances during their time in school, and prepare for the decade of paying off student loans post-graduation, finds GoBankingRates.com. 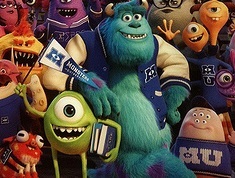 See the full guide to the best banks for college students: http://www.gobankingrates.com/banking/monsters-university-10-best-banks-for-college-students-6-13/. 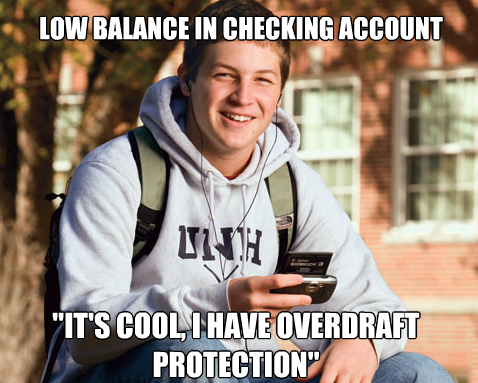 Source: Sallie Mae, “How Undergraduate Students Use Credit Cards,” 2009.